Parry Sound is a great town for walks but can involve some fairly good climbs & distance. Use common sense & do not overdo. 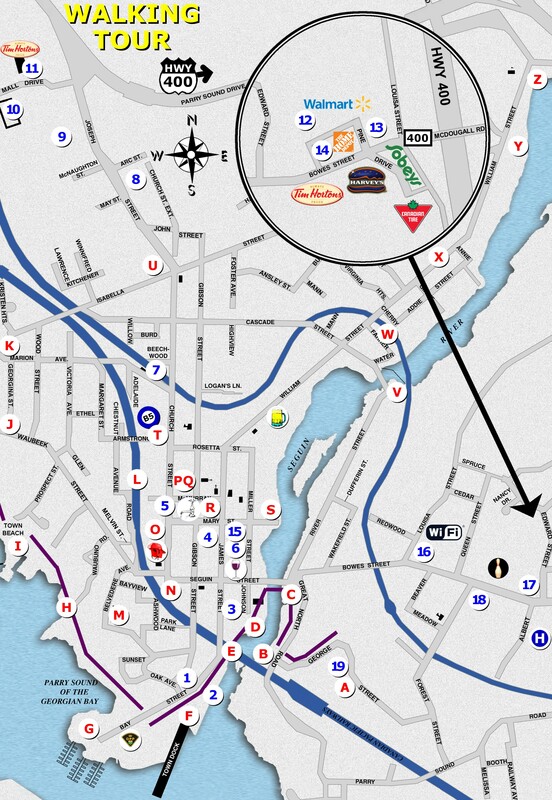 Use this map to Discover Parry Sound! Marked by red letters, all Landmarks on the tour are accessible by car. Numbers represent our sponsors. B Skate Park skateboarders welcome! I Town Beach take a cool dip! J Tony Agnello Park award-winning design! R Post Office send a postcard! Z Yvonne Williams Park see the Seguin Dam!